Preheat oven to 400 degrees Fahrenheit. Line a baking sheet with aluminum foil, grease it, and set aside. Line another baking sheet with aluminum foil and arrange the slices of bacon evenly on it. Bake for 20 minutes, or until nice and crispy. Place bacon on a paper towel-lined plate to drain. Measure out bacon fat and add to it enough butter to equal 8 ounces all together (in my case, I had 3 1/2 ounces bacon fat, so I only needed 4 1/2 ounces of butter). In a large, heavy-bottomed pan, combine the bacon fat, butter, sugar, and warm water. Attach a calibrated candy thermometer and cook over medium heat until it reaches hard crack stage (about 30 minutes), stirring constantly with a silicone spatula. You can use a silicone brush dipped in water to try to wash down sugar crystals from the sides of the pan in the first few minutes of cooking, but try not to scrape too much after that to prevent crystallization. Once the mixture has reached hard crack stage, remove from heat immediately. Remove the candy thermometer and add to the mixture about half the bacon crumbles and the Frangelico. It will bubble up once the Frangelico is added–be careful! Stir until the foaming mostly stops, then spread in the prepared baking sheet. Sprinkle the chocolate chips over the top and let sit for a few minutes. Spread the melted chocolate chips over the top of the toffee and sprinkle over it the remaining bacon crumbles. Be very careful about achieving the hard crack stage. It appears I fell a little short of that and now my toffee is a bit soft at room temperature. Either that or the addition of bacon and liquor made it go soft. Eating it straight from the refrigerator, however, it is just fine. When I try a new recipe for the first time I make it EXACTLY as it is written. Sometimes that makes for some seriously bad recipes. The beauty of a cookie recipe is that you can make just a few to try them and then add to the recipe to change it, which is exactly what I had to do with these cookies. In a large mixing bowl combine all ingredients, beating at low speed and scraping bowl often until well mixed. Drop rounded teaspoons of dough 2 inches apart onto ungreased cookie sheets. Bake 7-10 minutes or until edges are golden. *Now these were a bit lacking in flavor for us. So I added a tablespoon of lemon emulsion. They were a bit better, but still needed something so I then thought about the name and thought about Snickerdoodles and decided to roll them in cinnamon sugar and now we have a cookie! Work in the cold cubes of butter with your fingers until the dough is the size of peas and holds together when you squeeze it. Whisk together the egg and milk until well blended. Mix together until everything is evenly moistened. Knead on a floured surface until dough comes together evenly. Whisk together the brown sugar, cinnamon and flour. Set aside. Roll out first half of dough. You can either cut it into rectangles or use a biscuit cutter for uniform size. Place each piece on a parchment paper lined cookie sheet. Brush each piece with beaten egg. Add 1 tablespoon of filling in the center of each piece. Roll out second ball of dough and cut “tops” for each tart. Crimp the edges of each tart. Prick the tops of each tart with a fork to allow steam to escape. Refrigerate the pan for 30 minutes. 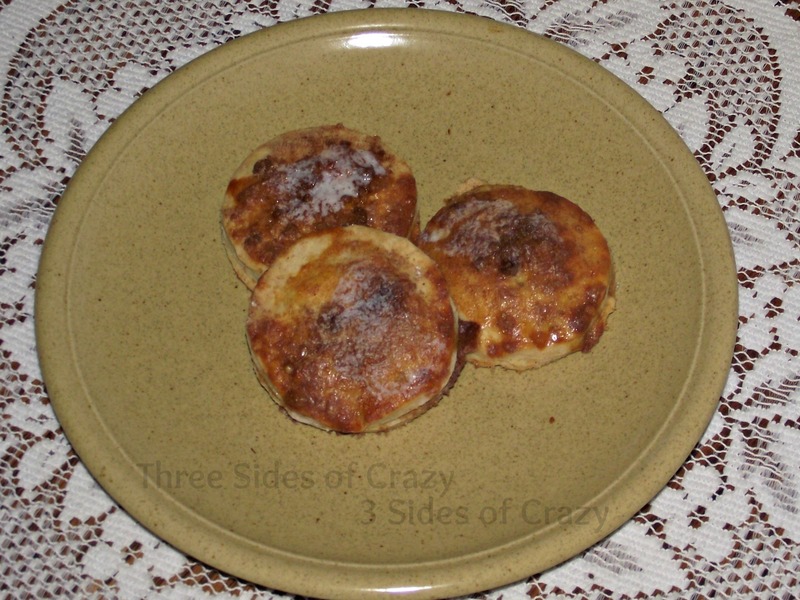 Brush tops with melted butter. Bake 25-30 minutes, until lightly browned. *Dough can be wrapped in plastic and refrigerated for a few days. If you do refrigerate it, bring it to room temperature before rolling out. 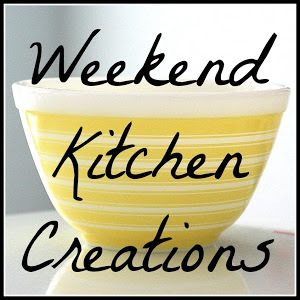 Weekend Cooking Creations is hosted by Jennifer. I have been going through tons and tons of recipes weeding out those that really needed thrown out and those that I still want to make one day. I’ve scanned in the ones I want to keep and tossed a ton too. 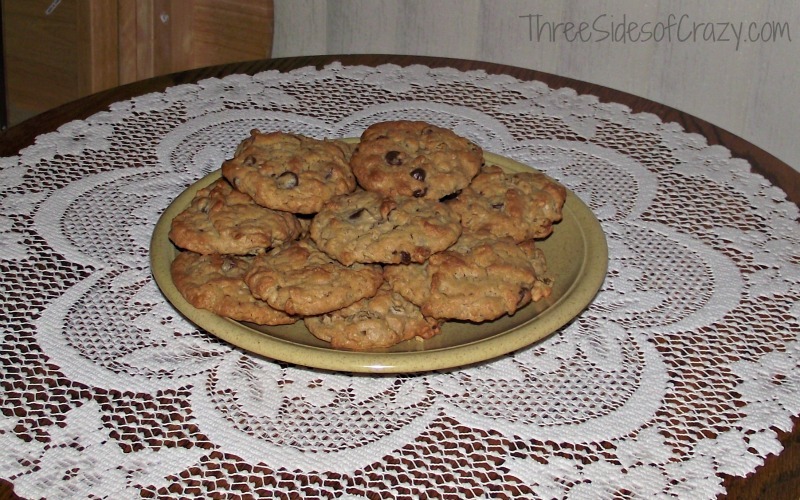 Along the way I found 11 various recipes for oatmeal cookies. I love my oatmeal raisin cookies, but there was something about each of the other 11 recipes I’d saved that made them special. So instead of trying all 11 recipes I made my own with all the ingredients that drew me to the recipes to begin with. And you know what? According to hubby these are the best cookies ever. I have to agree – the were crunchy and chewy at the same time and every bite was mmmm mmmm good! Hubs was eating the dough straight and even saved some to make a special peanut butter sandwich tomorrow. Sift together the flour, salt and baking soda. Set aside. Add eggs one at a time, blending well. Add peanut butter. blending well again. Add flour mixture gradually until smooth and well blended. Add oatmeal 1/2 cup at a time until well blended. Add the walnuts, mixing well. Add the chocolate chips, mixing well. 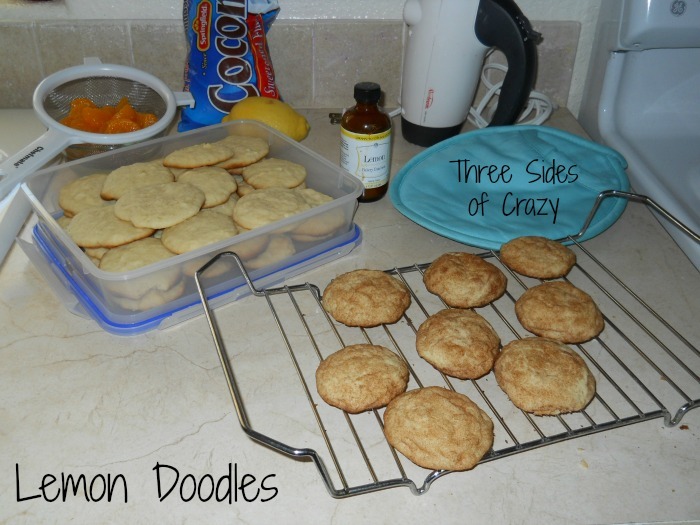 Drop by spoon fulls onto parchment lined cookie sheet. 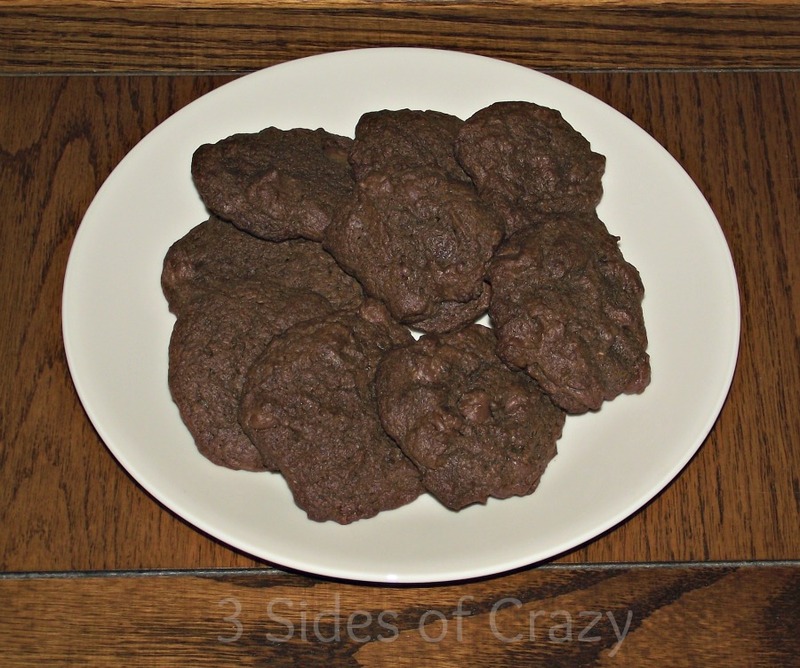 These are the simplest cookies, but they always go over with a bang! Spread peanut butter on Ritz crackers and top with another ritz cracker. Melt CANDYQUICK in microwave at 30 second increments. Dip each cookie in CANDYQUICK and place on wax paper. Sprinkle with your choice of candies. Let the chocolate dry and harden. These two recipes are so simple, but yet so flavorful and diverse that they disappear off the plate in a flash. 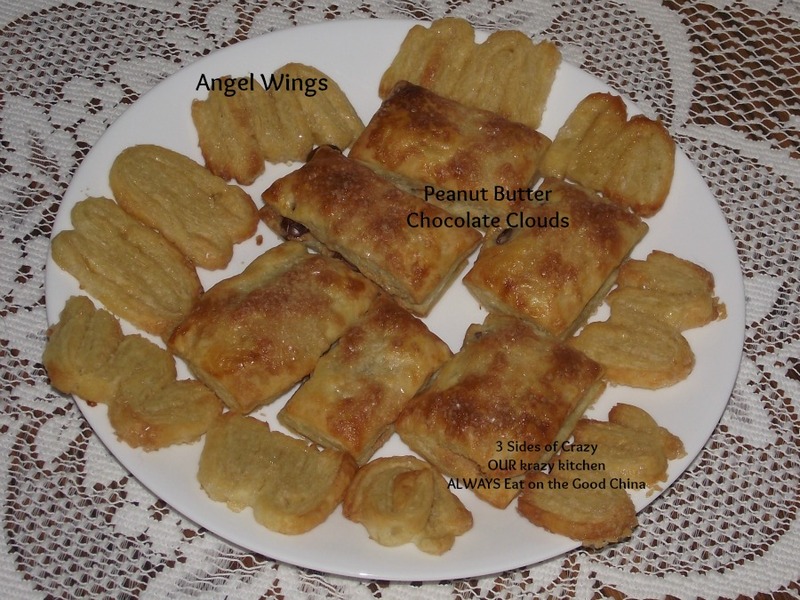 They compliment each other in that you can make both with one box of puff pastry. Gently roll out Puff pastry on a well floured surface. Spread one half with the peanut butter. Place the other sheet of pastry on top. Crimp and seal the edges of all the clouds with a fork. Place all the clouds on a parchment sheet covered cookie sheet. Brush each square with heavy cream and sparkling sugar. Bake 10-12 minutes until golden. Remove from oven and cool 5 minutes before serving. Sprinkle one 1/3 cup sugar over your work surface. Place pastry sheet on top of sugar. Sprinkle with another 1/3 cup sugar. Roll pastry into 12×9 rectangle. Liberally sprinkle with remaining sugar ever couple of rolls. Gently fold long edges in towards center meeting in the middle. Fold in half as if closing a book. Cover and refrigerate 1 hour or until firm. Cut pastry crosswise into 36 slices. Arrange cut side down on a parchment lined cookie sheet. Turn and sprinkle with the sparkling sugar. Bake an additional 2 minutes or until golden brown. Recipe rewind, because in the beginning there is a blogger who has no readers. 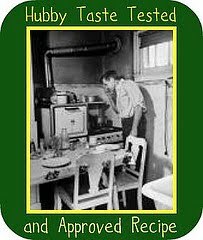 She still posts great food in hopes that the readers will come……….you can also view it here in the archives, Sunday March 27, 2011. I am a real sucker for the sweet/salty combination. If you are, you must make this. Or at least remember this recipe, for those times when you need a treat, a gift for others, or a project to work on with someone special. Me and pretzels go way back, I eat them often. I offered this delicious Roasted Pretzels snack some time ago. So falling hard for this pretzel toffee, was very easy! Line a 10X15 inch jelly roll pan with foil. Cover the surface of the foil with pretzels, leaving no empty spaces. Set pan aside. Preheat oven to 375 degrees. In a medium size sauce pan, melt butter, stir in sugar. Bring to a boil over medium high heat, allow to boil 2 minutes, adjusting heat as needed to keep a bubbling boil. Do not cook longer than the 2 minutes. This is the boiling stage you want to maintain for the 2 minutes. Pour butter mixture evenly over the pretzels, carefully place pan into the oven. Bake 7 – 10 minutes. Check after 5 minutes to make sure the sugar mixture is not getting too dark around the edges. Remove from oven, sprinkle chocolate chips over the surface. Let stand 10 minutes, carefully spread chocolate over surface of the candy. Let cool, then refrigerate to chill. This will assist in breaking the toffee into pieces. Break toffee, place in decorative bowl and watch the compliments come your way. This is seriously good! As always thanks for taking a minute to stop and say hello. We appreciate your time and your wonderful comments! For more great recipes, come and visit us at Our Sunday Cafe! If there is one treat that is a symbol of Christmas, it is a the cookie. Preferably a plate or tray of cookies so everyone gets some! Because everyone wants one, or two or more. Years ago I hosted a cookie exchange and it was a lot of fun. More recently I had a cookie exchange of a different kind, we did not share baked cookies, we share prepared cookie dough. Then each person could bake when fresh cookies were needed. 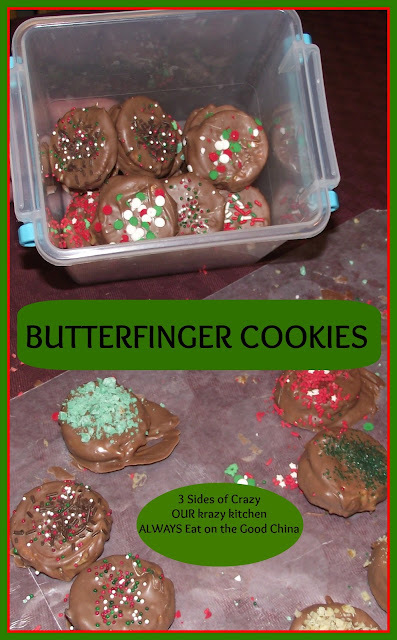 And today I am going to share a cookie exchange of yet a different type, virtual cookies. I have had a love affair with cookies my whole life, I even wrote about it in this delicious recipe for Cranberry Bliss Bars, yep just like Starbucks. I like to have a variety of cookies for my family and guests. Something with chocolate, something with spice and something a little more festive. The festive is taken care of with the Cranberry Bliss Bars, but if you are looking for something different, how about Brownies? 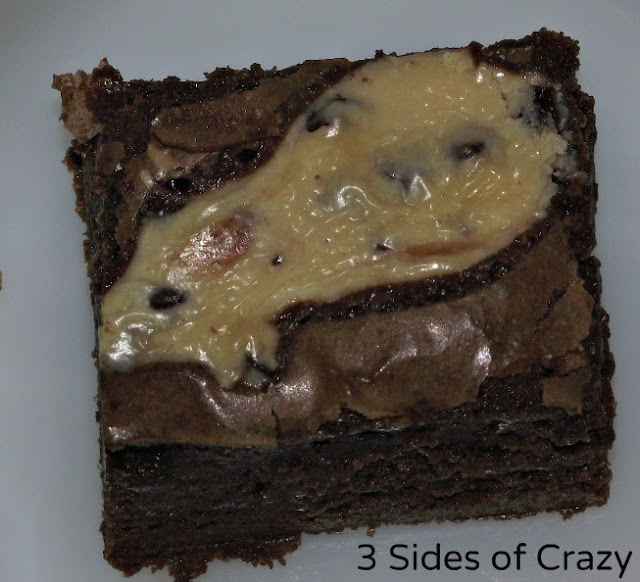 Yes I know Brownies are usually considered to be rather tame, and one of those everyday foods that we have come to rely upon. But add a special ingredient and Brownies are upgraded to first class. I used some very happy cranberries when I made these, but chopped candied cherries would make a great substitution. Every cookie tray needs a chocolate chip cookie. Now speaking for myself, it took me many years to make a chocolate chip cookie that I was proud of. Yes I always made the cookie recipe on the back of the Nestle package and they were tasty, but they did not bake up attractive. And sometimes the dough would “run” and the cookies would be more taffy than cookie. Yet I made the recipe the same, each time. Then one day I found this recipe and knew I had struck gold. And now for a bit of spice. I am a fan of gingerbread and gingersnaps. Yet for some that is too much spice. For those that prefer a softer spice flavor, I offer Cinnamon Flats. Not only are these delicious, they are fun to make with the little ones in your family. After rolling in cinnamon sugar the dough balls are “pressed” with a potato masher before baking. Let’s see, something special, something with chocolate, something with spice, ahh yes, now something with nuts. How about Saucepan Salted Pecan Squares or maybe Grandma’s Peanut Butter Bars….because not only are these delicious they are a no-bake cookie. Perfect to whip up when your oven is already in use. How about at your house? What do you put out for family and guests? I would love to have your recipes also, leave a link in the comments. As always, thank for taking a moment to stop and say hello. We appreciate your time and your wonderful comments. Last month I joined Baking Partners. We are a group of home bakers helping each other to achieve baking perfection. Baking partners was begun by Swathi at Zesty South Indian Kitchen. Baking a homemade bread, cake or cookies will give the best outcome. However in order to achieve the best results, a perfect recipe and the right techniques are required. We are a small group of home baker friends, who love and want to learn more about the nook and corners of baking. 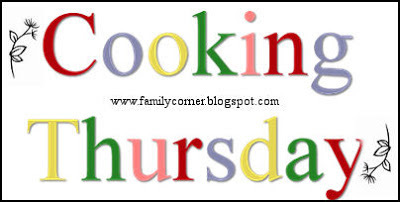 We are planning to try out recipes from books/magazines and cooking shows. Every member gets a chance to present their choice of recipe and share important points with the rest of the group. The main purpose of this group is to learn the techniques, critic procedures if there are ways to improve and to eat delicious food. This month’s theme is Cookies. 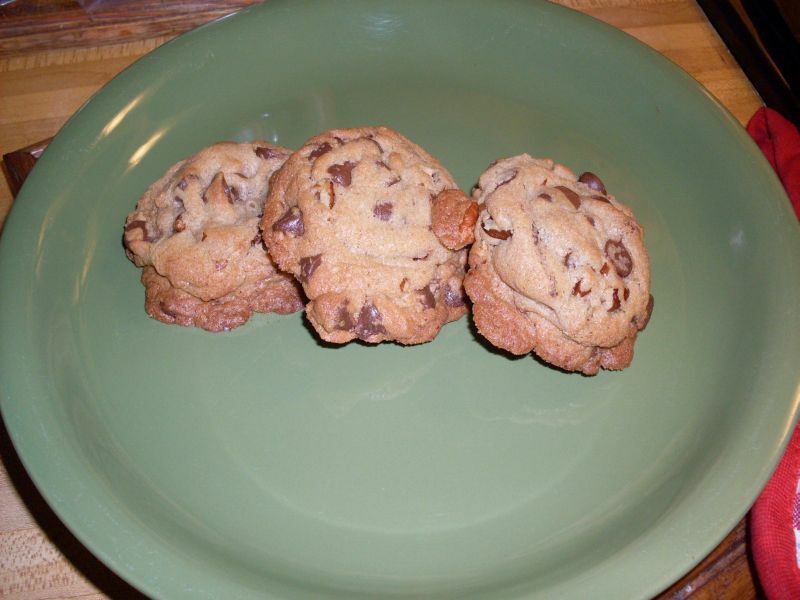 We were given 3 recipes to choose from and since the reveal date is my birthday I chose the recipe I liked best for Ultimate Chocolate Cream Cheese Cookies from Matt Lewis and Renato Poliafito selected by Tina of Pinay in Texas from Food & Wine Best of the Best Cookbook Recipes Vol. 14. This was an excellent choice – crunchy outside, smooth and creamy inside – a very unusual cookie texture, but wonderful! In a medium bowl, sift the flour with the cocoa powder, baking soda and salt. In the bowl of a standing mixer fitted with the paddle, combine the butter, cream cheese, granulated sugar and brown sugar – beat until fluffy, about 3 minutes. Scrape down the sides of the bowl. Beat in the eggs, heavy cream and vanilla until blended. At low speed, beat in the dry ingredients. Add the melted chocolate and chocolate chips and beat just until incorporated. Cover the bowl and refrigerate the dough for at least 15 minutes or up to 2 hours. Scoop heaping tablespoons of cookie dough onto the prepared baking sheets, spacing them two inches apart. Bake for 12 minutes until the cookies are just set; shift the baking sheets for top to bottom and front to back half way through. Let the cookies cool on the baking sheets for 5 minutes, then transfer them to a rack to cool completely. Note: The cookies can be stored in an airtight container for up to 3 days. Melt chocolate and butter in 30 second spurts until melted and well blended. Set aside. Beat eggs and salt in a large mixing bowl until foamy. Continue beating while gradually adding sugar, beating until thick and well blended. Fold in chocolate mixture with a spatula until just barely incorporated. Add flour and continue blending until just barely mixed. Pour into 13×9 pan or brownie pan. In a medium bowl beat the cream cheese and sugar together until smooth and creamy. Add egg yolk and beat until well blended. Add chocolate chips and blend well with a spatula. Top brownies with cream cheese mixture. Bake until toothpick comes out clean, about 25 minutes. When cooled, store in refrigerator. Reheat for 10 seconds to eat – YUMMY!